Maurizio Sarri, Jose Mourinho, Harry Redknapp and more: Do rants at players ever work? 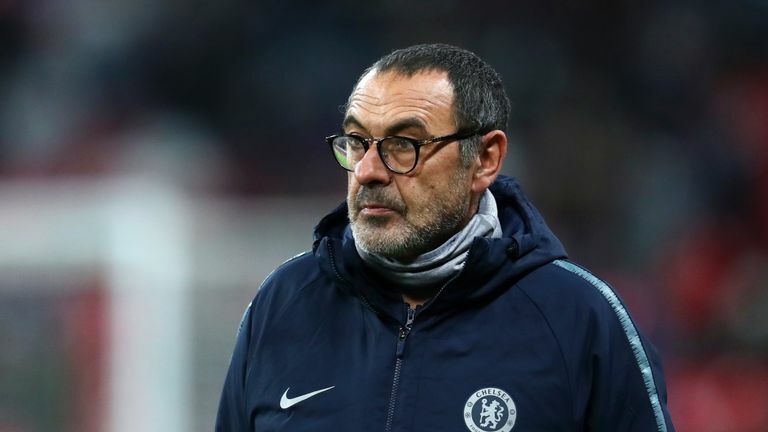 Chelsea head coach Maurizio Sarri shocked many by ranting at his players in public on Saturday. But does history show it can ever work? Sarri is not the first manager, and certainly will not be the last, to vent his frustrations at his side in public, but Gary Neville and Tim Sherwood both questioned whether it was a wise idea for the Italian to turn on the dressing room in the public setting he chose after their 2-0 defeat at Arsenal on Saturday. We will see the reaction from the Blues when they host Tottenham live on Sky Sports Football from 7pm on Thursday in the second leg of the Carabao Cup semi-final. What happened? After a home defeat to Sevilla dumped Manchester United out of the Champions League at the last-16 stage in February 2018, Mourinho went on an impassioned rant at not only his players. but also perceptions of the 'heritage' at Old Trafford and criticism of his performance as manager. What did he say? "You cannot expect me to say, 'This and that player, they have to do better'. I prefer to say that Matic and Lukaku are performing at a high level since day one until the last match. I cannot tell you the ones that are not performing. "The fans have to be sad with being out and the players have to learn how to cope with that level of expectation and that level of pressure. "They have to survive and when they survive they become stronger. An easy life, and the fans not upset, and no critics, that's not good. "If you want to make a real top team with top mentality, you need to grow up and the best way is to have this kind of feeling." What happened next? United progressed into the FA Cup semi-finals with a 2-0 home win over Brighton in their next game, but their two goals came from their only shots on target in the match. However, they won six of the seven games immediately after the rant, including the wonderful 3-2 comeback victory at the Etihad, and a 2-1 win over Tottenham in the semi-final of the FA Cup. Verdict: Success. The results speak for themselves. Mourinho has had a few rants at his players down the years, but rarely their collective spirit in a more general sense. The public outbursts may have ended with his downfall this season but here, at least, it worked, and they reached the FA Cup final while finishing second in the Premier League. What happened? Tottenham had just been beaten 4-0 by arch rivals Chelsea at Stamford Bridge in March 2014 and Sherwood, who had become known for wearing his heart on his sleeve, tore into his side in a furious post-match interview. What did he say? "There's a lack of character... too many of them are too nice to each other and you need to show a bit more guts and not want to be someone's mate all the time. "They need to drag it out of each other. It hurts me and I won't forget about this when we hit the motorway, but some might. "The club talks about fourth - wake up. You won't finish in the top four if you don't beat top teams. You're miles away unless you beat the top teams. "We owe the fans a performance. We let them down again on the big occasion. There's a few I'd count on. There's a few I wouldn't." What happened next? Tottenham suffered two crushing defeats in their next two games, the first a 3-1 reverse at home to Benfica in the Europa League round of 16 which would prove too much to overcome in the return leg, followed by a 1-0 loss to Arsenal which crushed their hopes of a top-four finish. Verdict: Failure. Spurs would lose four of their 11 remaining games before Sherwood was removed as manager in the summer, with the Arsenal defeat particularly damaging as they ended up sixth in the Premier League. 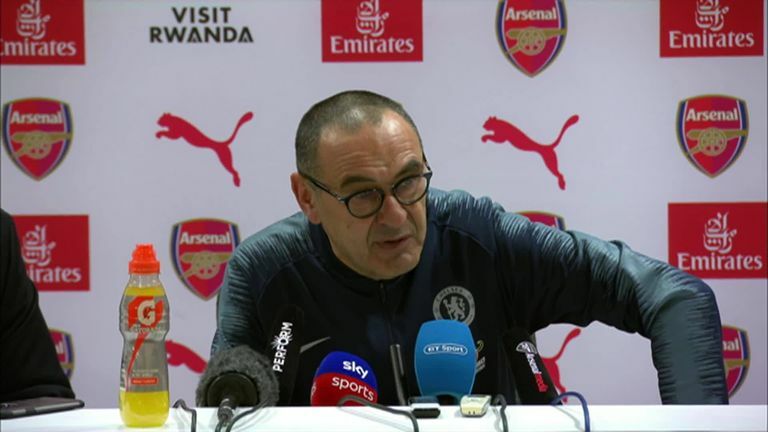 He admitted as much when he appeared as a guest on Monday night's edition of The Debate when Sarri's comments were brought up. "I wish I'd not done it," he said. "It was purely to get some frustration out for yourself but it's not about that." What happened? Redknapp had been in charge at QPR for less than a month when he turned on his players in December 2012, openly accusing them of being overpaid on the back of a 1-0 defeat to Newcastle - their first loss from the five league games since he took over. What did he say? "I don't know if I want to spend the owner's money next month as there are players here who earn far too much money for what they are in terms of ability. "I won't let them have their pants pulled down any more. They have been taken advantage of by agents and I won't let that happen again. We have a ground that holds 18,000 people. Newcastle's holds more than 50,000 people and they won't have players on more money than we've got. "You look at their bench today and they had options. They could bring Shola on and he has won them the game. My two centre-backs were superb today. If I could get a few more in like them we'll be fine, but I've got too many players earning far too much for what they are." What happened next? The Rs put in a limp performance at home to West Brom, losing 2-1, before they were also beaten at by Liverpool on home soil. A five-game unbeaten streak which followed proved another false dawn as Redknapp's team went down without a whimper, winning just 15 points from their last 20 games. Verdict: Failure. Redknapp looked to be onto something when he walked through the door at Loftus Road, but six points from his first four games was as good as it got, and his players rarely performed for him after his public chastising less than a month into his time with the club, ending in a relegation which seemed inevitable for some time. What happened? Liverpool were under pressure to keep up with the top four in January 2012, sitting five points behind fourth-placed Chelsea. What did he say? "It's all well and good saying they might have been distracted because there is a game on Wednesday and another on Saturday, but every game is a massive game for us. "And if players think they can turn the clock on and off, then they won't be turning it on and off at this club. The foundations of this club have always been based on respect for other people. You can't come to places like this thinking all you need to do is turn up to get a result. "That's what I think we did today, and that's why we were taught a lesson. It's not the right way to represent the club." What happened next? Liverpool won only five of the 16 Premier League games which followed Dalglish's rant, ending up 17 points off the top four - further away than they ended from the relegation zone. Their next game was a convincing 3-0 win at Wolves, and they got past both Manchester clubs in the cups. But after beating Wolves, they won only one of their next nine league games. Verdict: Failure. Sometimes it can be difficult to pinpoint where things go off the rails - but not here. Before Dalglish's rant, Liverpool picked up 35 points from 21 matches, but in their final 17 their results became relegation form, picking up only a point a game and finishing seventh. He was fired that summer.